Has your ophthalmologist in Chicago informed you that you have a higher than normal risk for glaucoma? If so, then you may benefit from understanding the symptoms of one form of this condition, called angle-closure glaucoma. Someone who has angle-closure glaucoma typically will not notice any symptoms before an attack. Symptoms that you may experience in the early stages of an attack include eye pain, mild headaches, blurred vision, and halos. 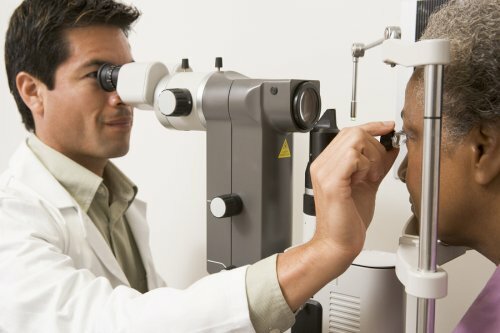 If you notice any of these symptoms, then see your eye doctor as soon as possible. Other symptoms that are associated with an angle-closure glaucoma attack include eye redness, severe pain in the eye or forehead, blurred or decreased vision, nausea, vomiting, and headache. Individuals who are over age 40, have high eye pressure, require vision correction, have suffered an eye injury, or have family members with glaucoma have a higher than normal risk of developing this eye disease. Speak with your ophthalmologist to learn about additional risk factors and whether you may be at risk for glaucoma.